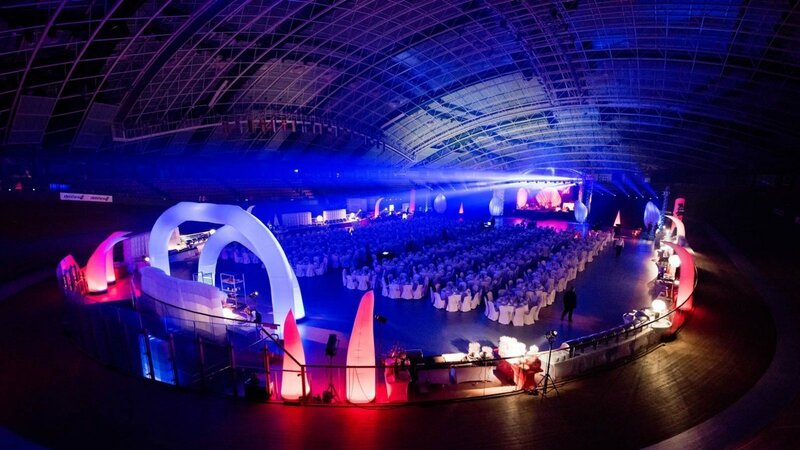 We cater to the events across Poland, ranging from small meetings to the biggest events for a few thousands people. Professional logistics: back-up facilities, give-out zones, kitchens, own equipment, appropriate number of the serving staff, enable us to prepare catering on the premises and provide our Clients with the top quality service. Irrespective of the form of the event that you choose, we will prepare special menu, satisfying event the most sophisticated culinary taste. In our offer you will find different kinds of menu: fit, eco, gluten-free, vegetarian, vegan, regional and thematic matching the main topic of the event or specific part of the world. For such important events, you need to have appropriate logistics and knowledge of the venue. Our experience deriving from service provided at some of the most prestigious and popular venues in Warsaw and across Poland allows us to provide top quality service. Our state-of-the-art fusion catering solution makes it possible to discover well-known dishes anew, while a customized menu will highlight the unique atmosphere and setting of any event. Regardless of whether you choose the buffet or the served dinner option, we prepare a suitably selected menu for you guests to highlight the character of your event. The special illumination of the meals and the unique decoration of the buffets make it possible to underscore the beauty of each dish. Our experts’ comprehensive approach will make the event a memorable one for all the people attending it. Appropriate equipment, logistics organisation and technical back-up facilities allow us to prepare lunch professionally during congresses, conferences and fairs even for up to several thousand people. A short lunch break will allow the participants of your event to recover, and an appropriately composed menu will give them energy for the following part of the conference day. Our experience acquired during our numerous projects will allow us to organise the catering service perfectly. The Mazurkas Catering 360° offering also includes refined cocktail receptions. The dishes we offer stand out for their gracefulness, careful selection and originality. Every element, however small, adds to their character. Diversified compositions in mini bowls as well as specially selected combinations on trays create a palette of gustatory experiences, accompanied by the whole artistic design. We offer tried and tested places for big picnic events as well as venues providing the right atmosphere for special events. Our catering service is provided at any place you may indicate. We offer our services to you in the whole territory of Poland and abroad. Our vast equipment and logistics base allows us to organise even the most elaborate and complex outdoor events. You select the place of your dreams, we provide comprehensive catering service! Many years of experience related to projects completed for governmental entities allows us to prepare professional catering for any diplomatic reception. We provide our services in compliance with the rules of diplomatic protocol, and thanks to this we have been able to work during events such as for instance the NATO Parliamentary Assembly (a six-day event for 1,100 delegates, culminating in a gala at the Grand Theatre), the 10th anniversary of the Community of Democracies (delegations from the whole world, several dozen ministers), the Council of Europe Summit, and others. We also provide regular service to the Ministry of Foreign Affairs. The dishes prepared by the Mazurkas Catering 360° chefs in front of your guests are made to match the character of the individual event. Not only are they delicious, but they also refer to the room decoration with their visual appearance, complementing the menu excellently, but also unforgettably attractive in their own right. Among the numerous thematic stations (seafood, Greek, Japanese, Mexican, Brazilian, Italian, Polish, molecular cuisine), we also offer, for your events, a food station with insects, allowing everyone to try something which is virtually unknown in Poland, but is considered a delicacy in many other parts of the world. This is a treat for all those who feel up for the challenge. Anyone who’s brave enough can taste ants, locusts, grasshoppers, termites, vipers’ tails and superworms, among other creatures. Meals that stand out due to their size, decoration and original serving method constitute unique attractions during our events. Swordfish, sailfish, blue shark (fish that are 2–4 metres long, brought straight from the Caribbean), whole pig, boar or mutton, roasted in special ovens, are only some of the things we offer. The Mazurkas Catering 360° offering includes exotic meats, including kangaroo, zebra and crocodile. We are the first catering company in Poland to introduce them as an out-of-the-ordinary element of the event menu.